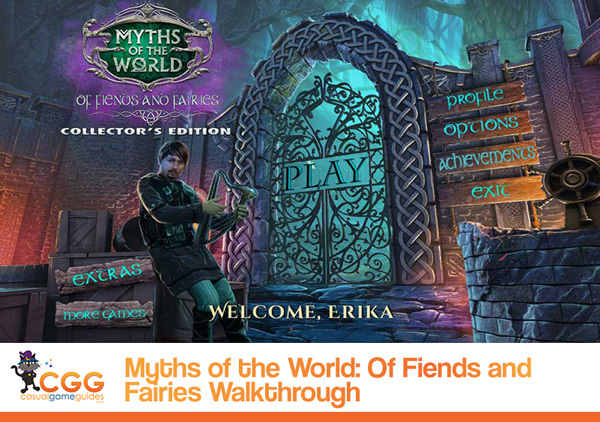 Our Myths of the World: Of Fiends and Fairies Walkthrough holds the answers you seek as you make your way in this enchanting world of magic and fantasy. Trust in our detailed directions, our custom marked screenshots, and our simple puzzle solutions to help save the fairies and stop the evil witch from finding a way through the portal to the fairy world. In the latest addition to one of my favorite series, Myths of the World: Of Fiends and Fairies, you'll take on the role of a young woman whose late grandfather was once friend to the fairy world. When danger strikes and an evil presence begins hunting and trapping the fairies in order to use their souls to open the portal between worlds, it will be up to you to live up to your grandfather's legacy as friend and champion of the magical realm. While those are some pretty big shoes to fill, you won't be left out all on your own in this journey. That's because we've got a Myths of the World: Of Fiends and Fairies Walkthrough to help guide you through every exciting moment of this hidden object adventure game! We've posted three chapters of our Myths of the World: Of Fiends and Fairies Walkthrough, and more are on the way so keep checking back with us! 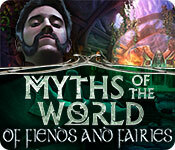 UPDATE - All chapters are posted and our Myths of the World Walkthrough is now complete! We've got everything you're going to need on this dangerous journey packed and waiting for you, including detailed instructions, custom marked screenshots, and solutions to all the puzzles and mini-games you'll encounter as you play along. So don't wander around and let those poor fairies down! Just check our Myths of the World Walkthrough for whenever you need a push in the right direction!